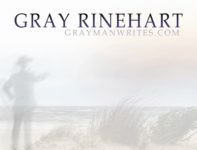 The Gray Man Writes – Page 128 – Good words, for good people like you…. Shoot, I’ll be thrilled to make it by Halloween, if that means getting it cleaned up and submission-ready by New Year’s. *My preferred name for Columbus Day. Those poll results, if you’re interested, are here. My original blog entry has a link to the sponsoring state senator’s office, if you want to let them know how you feel about the idea. In my inchworm-slow progress writing the novel I’ve outlined, a milestone of sorts: crossing the 20,000-word mark yesterday. Considering the most recent additions were achieved in very small steps — a few hundred words here, another few there, mostly in between panels and in the morning before ConCarolinas opened — that ain’t all bad. Now, to get the next 80,000 words done. Onward and upward. Squarely in the category of “that government governs best which governs least”: a proposed law (yes, LAW) introduced yesterday that would require (yes, REQUIRE) North Carolina college students to perform specific community service in order to get their diplomas. Those seeking a bachelor’s degree in the state’s public and private colleges and universities would be required to spend 20 hours a semester tutoring or mentoring students in public elementary, middle or high schools if legislation introduced by Senate Majority Leader Tony Rand becomes law. The Board of Governors shall establish a community service program for baccalaureate degree candidates enrolled in the University System…. Under this program, students shall provide mentoring and tutoring services for a minimum of 20 hours per semester to public school-aged children across the State through school programs, faith-based programs, or other service programs…. Participation in this program shall be a requirement for any baccalaureate degree awarded after January 1, 2012. It should instill a sense of outrage in college students. It’s one thing to encourage students to serve others at a time and place of their own choosing, but to force them into a particular type of community servitude in order to appease the legislature’s sense of what they should be doing? Student organizations across the state should mount rapid and vocal opposition to this proposal. Furthermore, as if Rand’s proposal isn’t far-reaching enough, it actually goes beyond students in state schools to include every undergraduate: “The state’s private colleges and universities would have to impose the same requirement if they wanted to continue participating in two financial aid programs that the state provides to North Carolinians attending those schools.” Note that the students receiving the aid are not mentioned, but the schools: therefore, students receiving no aid from the state whatsoever would be subject to the same requirement. This is a bad idea, and should be shouted down from the rooftops of every dormitory to the floor of the legislature. Not because community service is bad, but because lawmakers should not be trying to legislate it. If a college decides to require community service as a graduation requirement, students have the choice to go to another college if they don’t want to meet the requirement. If the state requires community service, students won’t have that same choice. And since this proposed law mandates — requires — what would normally be acts of charity, what other ramifications does that present? * First, it means that the community service is no longer voluntary, but compulsory. That may seem a small distinction, but what other compulsory service might the legislature mandate? Would our leaders require community service of all of us, and specify what it must be? * Second, it means that those who don’t participate are by definition lawbreakers — and that the state would punish them by withholding the degrees they’ve otherwise earned. * Third, it treats students as pools of free labor available to meet whatever pressing or passing need strikes the legislative fancy, when their primary purpose should be concentrating on their studies and learning the skills that will carry them with confidence into the future. Good intentions, remember, pave the road to Hell. And politicians are full of good intentions. The NC General Assembly web site includes this page on Rand, with contact information. Give him a call, send him an e-mail, tell him this is a bad idea.